There’s been a lot of talk about automation recently – plenty in the past and there’s likely to be plenty of discussion for some time to come. Labor is getting harder and harder to come by, and any labor you can get is costing more and more. The solution, as more and more people are realizing, is mechanization and automation. To quote another adage: work smarter, not harder. However, machinery and robots to help reduce the need for expensive labor are very expensive in themselves and pose a huge up-front cost. So, what can be done? The place to start to plan is not with the Greenhouse, machinery or vehicles: it is with the least mechanical and seemingly least complex part of the whole set-up; the propagation tray or container. 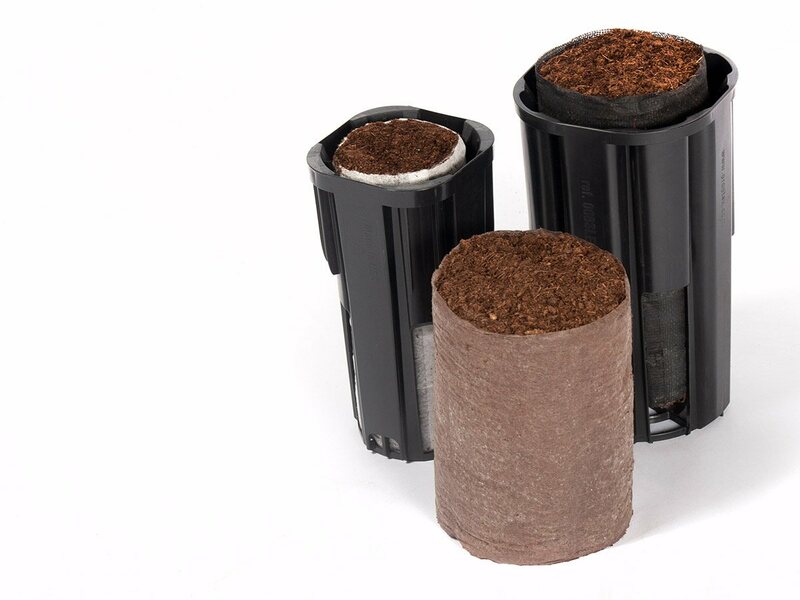 The real solution, then, is to use tough, long-life, air root pruning containers. But containers that are built to be compatible with simple automation machinery, are easy for people to use and carry, and produce excellent plants with no circling roots. This has the advantage of making a real difference to your bottom line while not having to make huge changes to your processes and nursery. 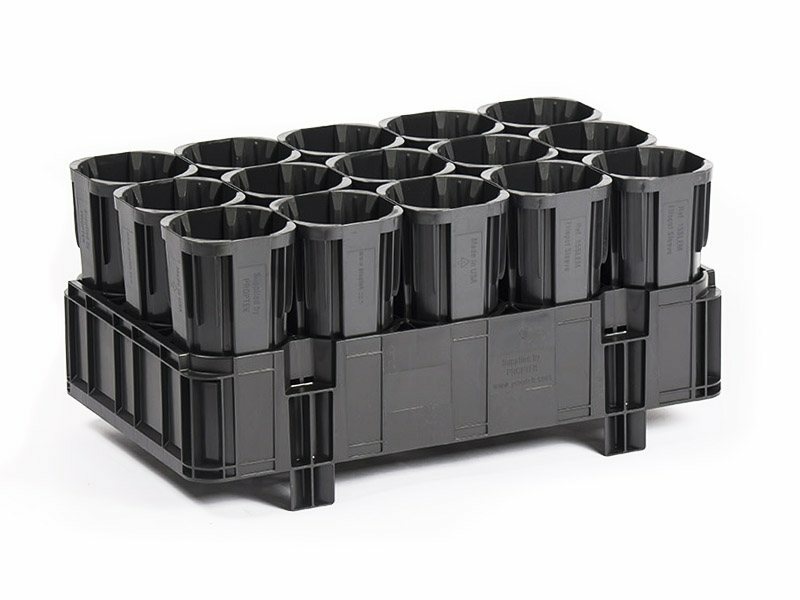 A tough injection molded container can be de-stacked automatically a lot easier than other types of tray. This is because they come apart much easier than a flimsy thermoformed tray and also because they can take the punishment a de-stacker can often enact on the trays. Using relatively simple and inexpensive bits of machinery and conveyors, the trays can be filled automatically, seeded and watered without a human hand ever touching them. Saving 2 – Save Time on Sorting & Grading. Using a propagation system that allows you to remove each cell individually really starts to show its merits. Yes, they command a slightly higher price, but the benefits far outweigh this extra cost. In fact, this is just a one-time cost – but after a few uses the containers start paying for themselves, and by the time you get to the end of their life you will have saved a lot of money. At all stages of growing, plants can be moved and inspected without pulling – this can even be automated with technology, but is not vital to starting to create efficiency savings. If you do have to pull the plant to check the roots, with a solution like this, they just slide on out without damaging the roots or stem of the plant. 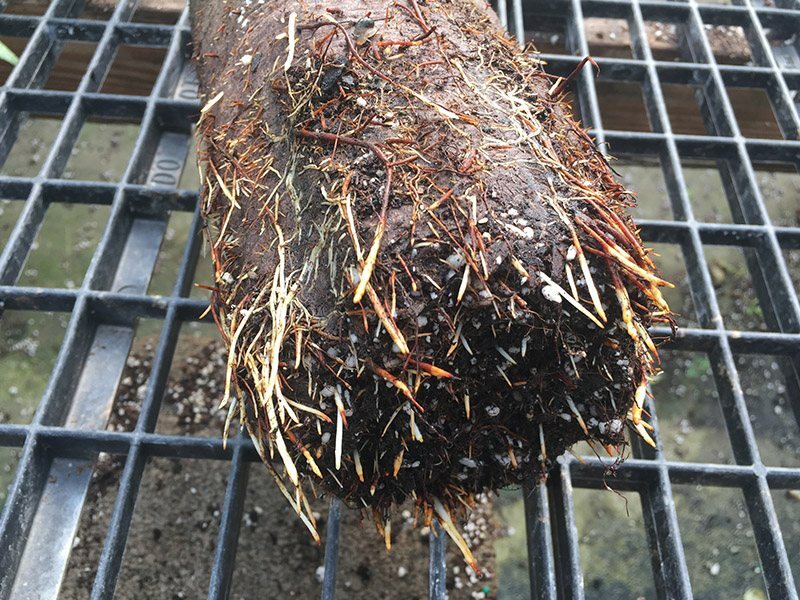 This is only possible because of the excellent, non-circling root structure that is developing, and the fact that the roots can’t dig into the plastic cell walls. This saves a huge amount of time as this is a lot easier than having to pull all the plants and rearrange, but also saves money as less plants are lost. Saving 3 – Quicker Bumping up and Transplanting. 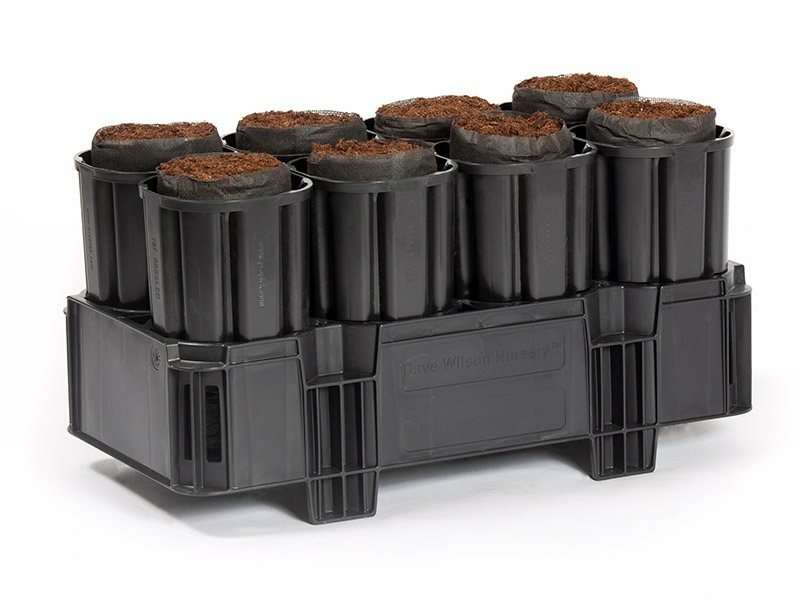 As previously mentioned, plants pull easier in a tough injection molded container that has been designed to create great roots. You can even get a “plant popper” that can pop out potentially hundreds of plants at once. This becomes a pretty easy task for folks to do which saves a lot of manual hours, which means less staff are required – but there’s also some fantastic machinery out there that will automate this stage too. It would depend on your set up and size as to which option would work most economically for you. Or looking it at from the other angle: keep the same number of staff but create the opportunity to grow and expand as a business. It’s all about roots. Always has been and always will be. Better roots mean better plants and that means happier customers. But better roots and better plants means quicker finishing and shipping out the door. This means more plants turned during a year, meaning more dollars per square foot of nursery – which means more money for you, the grower. As an example, we’ve found with Eucalyptus that they grow a massive 33% faster -which underlines the fact that the plant is happier, grows faster, and also implies it will have fewer disease issues. A quicker turnaround is a great way of keeping the same amount of labor you employ, but getting more value for money from them. Investing in a decent container is going to cost a few extra dollars. But the following year you won’t have to buy any. Nor the year after that. Nor the year after that… nor until your kids are all grown up if you look after the containers well. There are even some Proptek trays in California that are over 30 years old, and they are still producing excellent plants to this day. If the up-front cost is perhaps a little too much, then an option is that you can often get finance to spread out the cost over a few years. Containers such as those from Proptek are looked at as assets by banks and lenders. Speak to your local Farm Credit representative for more details and information. The tough design of an injection molded tray helps here – especially if it includes its own built-in feet. A large amount of plants can be carried with an adapted forklift that has multiple prongs rather than just the 2 – the fork simply slides under the frames and picks up all the plants and takes them to the greenhouse or shade house. This is a much easier job than the back-breaking work it can be to load and unload a trailer – quicker too. This means you need less people – but also those people you do need are doing a much more enjoyable, safe and comfortable job. And happier workers are much more effective at their jobs. Want to keep up to date with Proptek products and services? Sign up for our newsletter.